General Motors is reeling from its botched recall of 1.6 million cars for a faulty ignition switch that is tied to at least 12 deaths. But in many ways that's the least of the automaker's problems. The recall problems, while tragic and a high profile, are likely to be relatively contained. The issue should have limited impact on the company's sales and profits. A number of other matters, many outside of GM's control, pose a greater financial threat to the company. China's explosive demand for cars has been key to GM's success over the last decade. But the automaker's market share there is shrinking as competition heats up. Volkswagen took GM's long-held number-one spot there last year. U.S. rival Ford Motor (F), which was late to game in China, is now making a late push there and taking share from GM. The company's earnings from China more than doubled between 2009 and 2013. But they're expected to decline slightly this year and post a small gain in 2015, according to Morgan Stanley analyst Adam Jonas. GM (GM) has lost more than $15 billion in Europe since 2000, including $844 million last year. Losses narrowed in 2013, but there's no sign that GM will be profitable there anytime soon. The company announced plans to drop the Chevrolet brand in Europe, leaving its two European brands, Opel and Vauxhaull, remaining. But labor laws make it expensive and difficult to close excess plants and cut staff. "GM will probably have to deal with losses in Europe for at least three years," said Jesse Toprak, analyst with Cars.com. "There aren't any miracles on the horizon." Japan's weak yen policy has been a tremendous boon for Japanese rivals such as Toyota Motor (TM), Honda (HMC) and Nissan (NSANF), since the dollars they get for U.S. sales translate into more yen. That means that Japanese automakers can afford to offer big cash incentives in the U.S., averaging about $1,000 per vehicle, says Toprak. The exchange rate also gives Japanese automakers more money to spend on product development. And they can offer more options on new models. "We don't think the Japanese will start a price war, but rather a product offensive," said Morgan Stanley's Jonas. GM's turnaround has been powered in part by a 35% rebound in U.S. sales since the dark days of 2009. But it will be harder to post such strong gains now that its sales have strengthened. 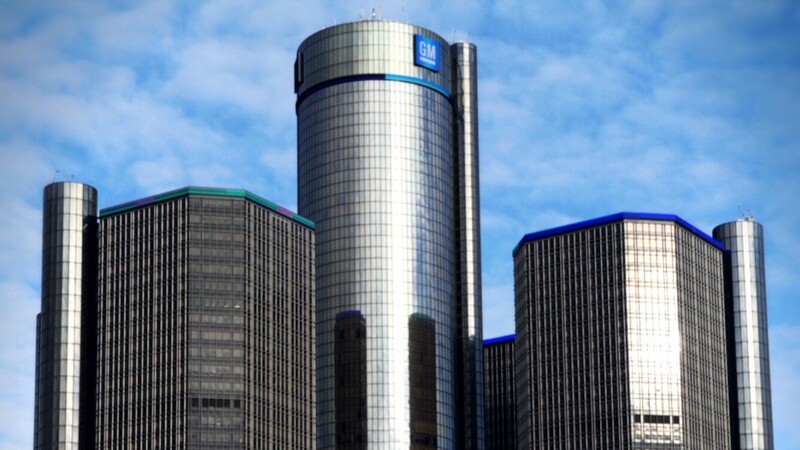 GM is in the strongest competitive position it's had in decades. Bankruptcy, a federal bailout and new labor deals have allowed it to shed debt, weak brands and excess factories. It is making money, and hiring workers, even though U.S. sales totals are still far below pre-recession levels. And while GM's manufacturing is certainly more efficient than it used to be, the company remains at a competitive disadvantage compared to rivals Volkswagen, Toyota and even Ford. Another challenge: Tough new fuel economy rules in the U.S. in coming years which will require an average of 54.5 miles per gallon on cars sold by 2024, which could significantly hike the cost of building the next generation of cars. "GM has had a remarkable comeback from near death experience," said Toprak. "But there are a lot of issues coming up that will be far more serious than anything to do with the recall."